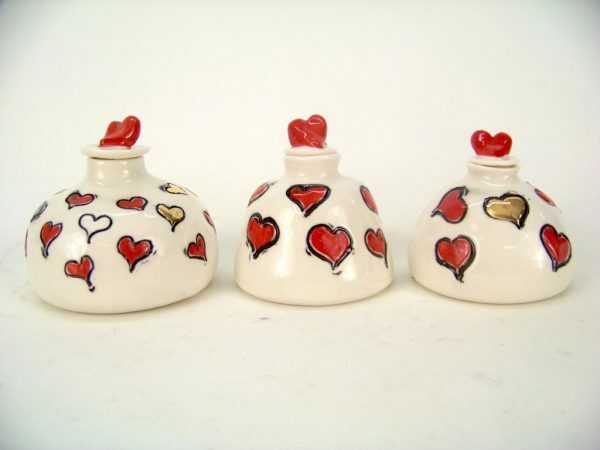 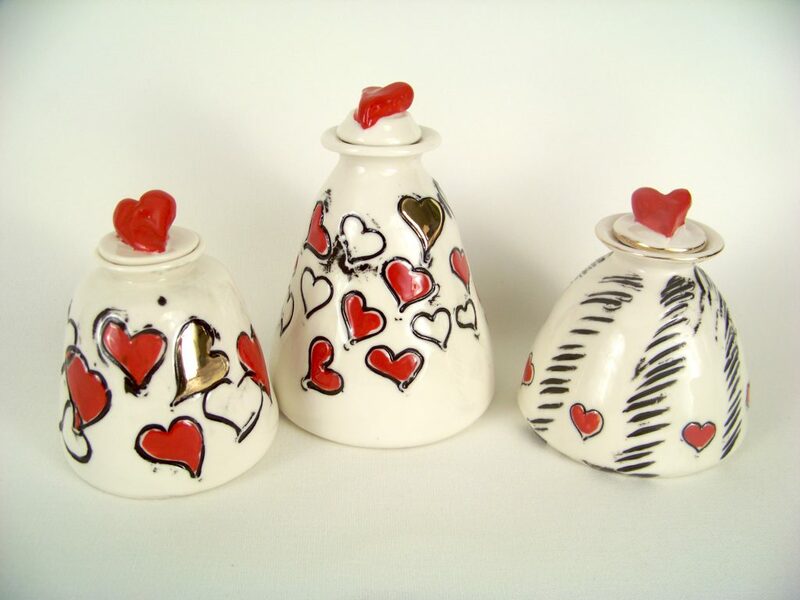 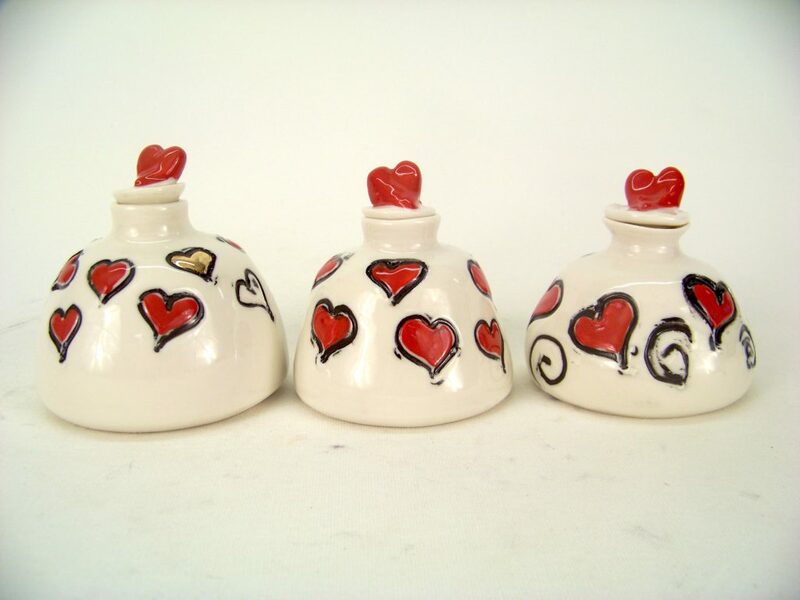 These small heart bottles make nice gifts also for Valentine’s Day. They are all different also in size. 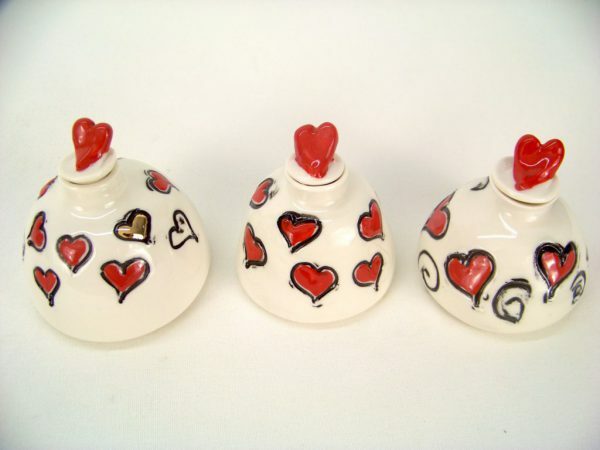 They are made of porcelain and fired three times, some of them have golden hearts. 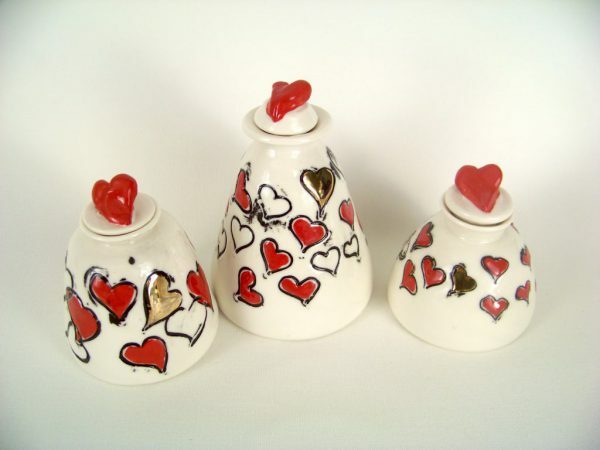 You can specify preferences and ask for more photo’s if you’re interested!